Do you know a business leader who displays collaboration, compassion, confidence and creativity in the workplace? 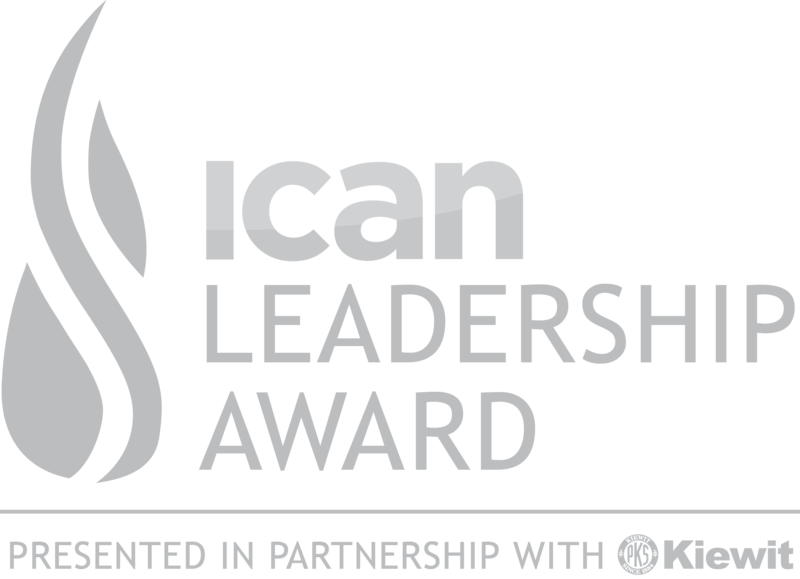 ICAN is seeking nominations for the 2019 ICAN Leadership Award. ICAN Leadership Award, honoring a woman or man who has taken the necessary steps to redefine leadership in their organizations and communities through collaboration, compassion, confidence and creativity - the 4 C's. The award was created in 2015 after careful research and over 30 years of working with leaders from across the globe. ICAN believes that current leaders, and those of the future, need to possess the skills of the 4 C's in order to successfully lead their organizations and communities in a over changing and complex global economy. This award is announced annually at the ICAN Women's Leadership Conference, to be held on May 15, 2019. 1) Collaboration: Brings their many gifts to the table and shares them in pursuit of a common goal. They bring ideas, passion, their mind, body and soul to their work and welcome the same from others. They "host" conversations rather than acting as the "hero" who solves everyone's problems & dilemmas. 2) Compassion: Contributes time and energy and shows empathy and concern to those they lead thus improving relations, communication and the well being of others. This individual is passionately dedicated to serving others in their organization and in the community. 3) Confidence: Does not conform to others expectations, but is brave enough to look within and believe in what they feel is right. Demonstates self-assuredness by cheering for other's success and accomplishments. Stands up proudly for what they believe and is courageous enough to take unpopular positions. This individual also knows how to listen and step back to let others lead. 4) Creativity: Experiments with new and creative initiatives, tools and concepts. Thinks outside the box and is a creative problem solver. Uses creativity and innovation to unleash the potential in self and others. How Long Have You Known the Nominee? Directions: For each of the 4 criteria, use the following form to answer the open-ended questions. Collaboration: Brings their many gifts to the table and shares them in pursuit of a common goal. They bring ideas, passion, their mind, body and soul to their work and welcome the same from others. They "host" conversations rather than acting as the "hero" who solves everyone's problems and dilemmas. Compassion: Contributes time and energy and shows empathy and concern to those they lead thus improving relations, communication and the well being of others. This individual is passionately dedicated to serving others in their organization and in the community. Confidence: Does not conform to others expectations, but is brave enough to look within and believe in what they feel is right. Demonstrates self-assuredness by cheering for other's success and accomplishments. Stands up proudly for what they believe and is courageous enough to take unpopular positions. This individual also knows how to listen and step back to let others lead. Creativity: Experiments with new and creative initiatives, tools and concepts. Thinks outside the box and is a creative problem solver. Uses creativity and innovation to unleash the potential in self and others. Thank you for filling out the information completely.